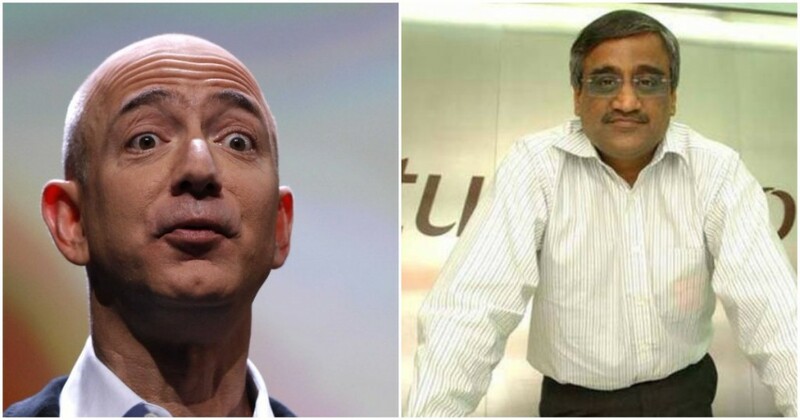 Kishore Biyani has previously said that it’s stupid to be in the e-commerce space. He’s said that e-commerce companies will not make profits, and that no e-commerce grocers would survive. But the business world can be a funny place because as things stand, the newest investor in his Future Retail business is the largest e-commerce company in the world. Through a long convoluted process that played out over several months, Amazon now likely holds a small minority stake in Future Retail. Earlier this year, Amazon had purchased a 5% stake in Shoppers Stop for Rs. 180 crore. But a couple of months later, Future Retail had purchased the Hypercity supermarket chain from Shoppers Stop in a cash-and-stock deal for Rs. 665 crore. This means that Shoppers Stop now owns some Future Retail stock, which in turn means that Amazon also owns a tiny fraction of Future Retail. Such inconsistencies aren’t rare in the business world — last year, Uber had ended up being a small investor in arch-rival Ola. Uber had sold its China business to Chinese cab aggreator Didi, which already had a small investment in Ola. Uber, thus, in turn, had ended up owning a small stake in Ola. But the Amazon-Future Retail investment is particularly ironic. Kishore Biyani has been relentlessly disdainful of e-commerce in India, attacking its business models, profitability claims, and future prospects. Amazon seems to do everything Biyani seems to loathe — it’s furiously burning money in a bid to win over customers in India, ending up with losses of Rs. 3,572 crore in FY16. It’s also in no hurry to make profits. Future Group, on the other hand, operates with its eye firmly on its bottom-line — Future Retail made profits of Rs. 148 crore last quarter. But while Amazon and Future Retail might appear to come from diametrically opposite places, there are indications that the two companies are moving towards a similar business model. Amazon has been making waves in the offline world, buying retailer Whole Foods in the US, and acquiring a minority stake in Shoppers Stop in India. Future Retail is trying to keep up with the times and introducing technology into its business — just this month, Biyani introduced a concept which he called Retail 3.0 through which customers could order through Facebook and WhatsApp, and would be targeted through Artificial Intelligence and Machine Learning. It’s not inconceivable that Amazon and Future Group — though different in scale — will end up with similar business models in the coming future. And as such, Amazon’s inadvertent minority stake in Future Retail might just be a poignant sign of the times.